We have lamination capabilities to apply a pressure sensitive adhesive (PSA) to our felt products or to your custom product. We can supply supported or unsupported rubber based PSA, Acrylic PSA or a high temperature PSA depending on your needs. 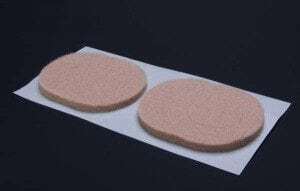 If you are looking for a specific PSA felt with custom specifications, please contact us and we will work with you to find the custom solution you are looking for. Combine laminating with slitting and we can manufacture your custom Felt Tape for many different applications. We also have rotary die capabilities to kiss cut your custom parts for easy release liner removal and application.